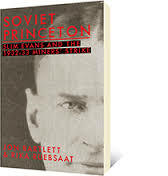 The trade union strike that divided a town revolves as much around Vancouver-based labour activist Arthur “Slim” Evans as the people of Princeton. For the full book review, check out BC History magazine, Spring 2016. Eve Lazarus, author of four books on Vancouver and Victoria’s past, was initially interested in the history of homes. Now this North Vancouver freelancer employs her accumulated research skills to examine unsolved murders. The result is her most compelling book to date. 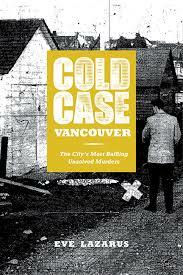 “Cold Case Vancouver” provides 19 true crimes still baffling the police today, beginning with a case in 1944. Her final story, much to the readers’ relief, is a solved crime. Most victims are female and most perpetrators are assumed to be male. Every aspect of the cold cases are chilling, from the details about how the evil deed occurred to the fact the perpetrator got away with murder. Also woven in to the crime descriptions are the reactions of the victim’s family, police, media and members of the public. Cases unfolding over the decades up to the 1990s, give the reader a window into Vancouver residents’ attitudes and lifestyles. The author seamlessly moves from describing the past to providing contemporary perceptions of the crime by including interviews with experts. For the full review, check out BC History magazine, Spring, 2016.